This article is about digital photo editing tips that are not related to just one specific photo editing software program. Listen, you can use these tips, no matter what editing software you use. In my early years as a photographer, just like everybody else,I was guilty of one of the most common photo mistakes people make when it come to editing their photos. Like many others, I would shoot 10 or 20 photos that were almost exactly the same and keep them all. Worse yet, my wife or I would put all of them in the photo album. That's like watching a 2 hour video of your 1 year old nephew taking a nap. Can you say: "BORING!" Let's get right to it. 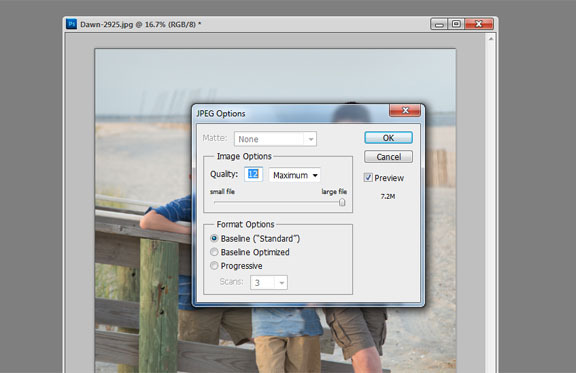 Here are the 3 photo editing tips you should do with your digital photographs. The photo editing I am talking about is eliminating the bad photos and the repetitive photos from your final collection. Just like when a musical artist is in a recording studio. It is common for them to record many audio takes and select just the best for compiling into an album. I use Adobe Lightroom and PhotoShop Bridge because were design for pro photographers to get things done fast. And I shoot a ton of photos of my subjects. Whatever you use, it's important to narrow down to the best photos. You don't have to delete them. You can leave them in an original photo. Either tag the ones you're going to work with as favorites within your software or copy just the better ones into a new folder on your computer. 1. To modify or adapt so as to make suitable or acceptable. I am suggesting you start by using the first part of the second definition, eliminate or edit out the extras. Think of the motion picture industry. Hundreds of hours of video are shot and the final movie may last only an hour or two. So it should be with your digital photo editing as well. I agree it may be difficult to exclude photos of something you have an emotional tie to. Back them all up onto your computer, burn a back-up DVD or upload to a photo hosting website, or use "the cloud". Then select just your favorites, for now to edit, share and print. You should never delete the originals. You can also copy all of the original photos into a new folder with a new name like "Birthday Party Favorites", then delete the undesirables that are within that new folder. Then you can proceed to do your photo editing, cropping, enhancements to the favorite photos only. Deleting is like suicide. Sorry to be so blunt, but it's permanent. You can't go backwards in time. Perhaps this is the most important of the digital photo editing tips. 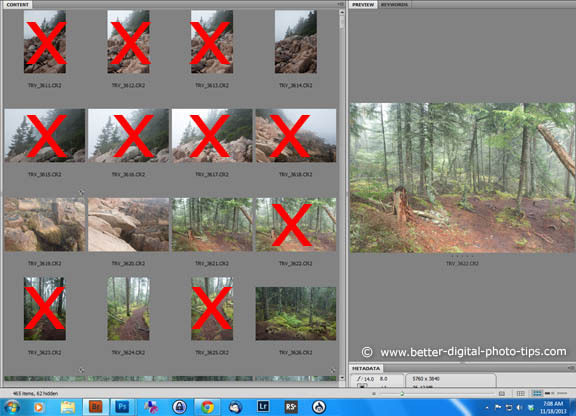 Always work with your full resolution, highest quality images when doing your original photo editing. Save them at highest quality setting as well. Keep quality at the highest setting when you're saving your photo. Then if you want to reduce them to email or post them on the web, you can save your photo at a smaller size or lower quality setting with a new name, such as: Bills-birthday-cake-reduced.jpg. With the arrival of digital photography, it's easier than ever to be guilty of shooting many photos of the same subject. In fact, I encourage photographers to shoot many versions of the same subject with changes. Experiment and change your compositions, your angles and even your lighting if it's possible. I am happy to say I sort of used that first editing tip when shooting video in the late 1980s and early 1990s when my kids were very young. I dedicated just one VHS 2-hour long video to the first five years of each of my children's' lives. My wife or I would only shoot a minute or two of any given activity our child was doing and make the next recording a few weeks or months later. For each of our children we have a 2 hour video that has captured their newborn to 5 year old progressions. We did this without using any video editing software. I eliminated the repetition and boredom by only using small clips, spread out over time. The digital photo editing tips mentioned above are intended to save you time when you are doing your initial editing. Lower the quantity and raise the quality. This makes the viewing of them more enjoyable for you personally as well as everyone who you share them with. There are many photo editing websites to explore too. Many have tutorials with digital photo editing tips specifically for their editing software. Happy Shooting!